One week left to book this summer, Week of August 24th- was $2699 now $2499, save $200, Book Now!!! 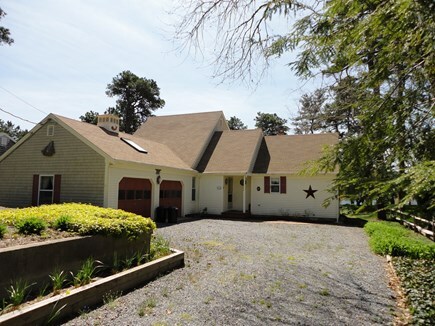 This charming, well appointed, remodeled house includes 4 air conditioned bedrooms, 2.5 baths, a lovely solar room and patio, with your own private beach on crystal clear John Joseph's Pond. 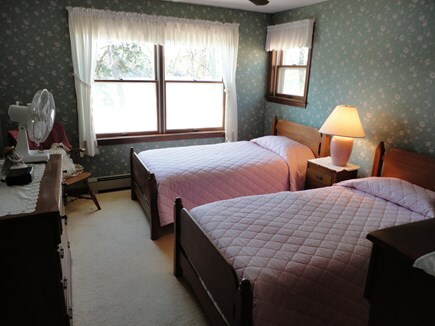 Located in the Great Sand Lakes Community, the house has a magnificent pond in the back yard, providing swimming, great bass fishing and boating, (2 kayaks, canoe and sunfish are available for guests). 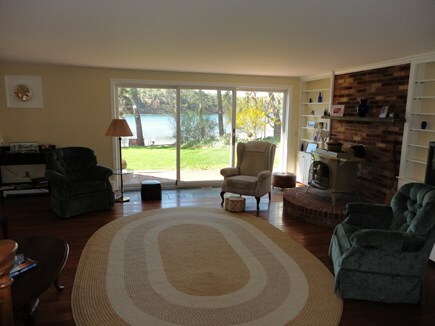 The house is situated such that there are beautiful lake views from nearly every room. 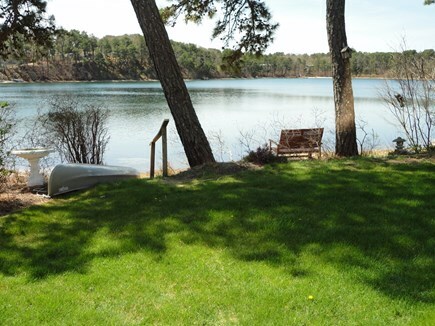 As part of the Great Sand Lakes community, guests have access to all private beaches on both Joseph's Pond and the adjacent Buck's Pond. 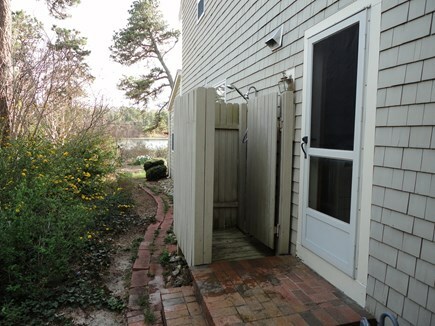 Home is equipped with cable TV, wireless internet and a new outdoor shower facility. 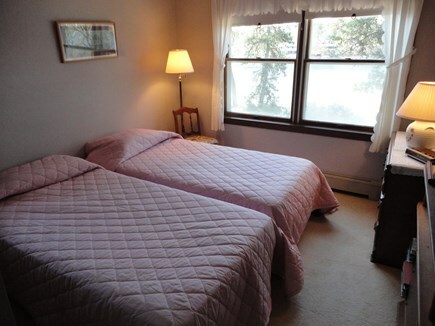 A fully equipped upgraded kitchen, living room and dining area all overlook Joseph's pond. 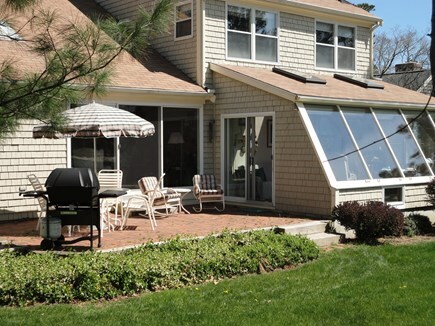 The solar room is great for entertaining or just hanging out with family. Includes off street parking for 4 cars. 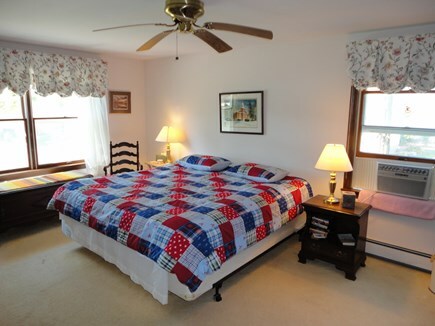 Guests are requested to provide their own sheets and towels which can be rented locally through Cape Cod Linens, (delivers and picks up). 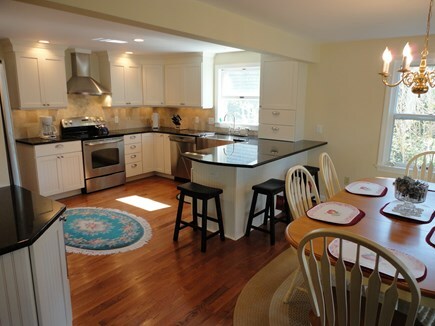 Having close proximity to ocean beaches, Stripers and Game fishing, the Cape Cod bike trail, award winning Cranberry Golf Course, nearby Chatham shopping, band concerts, theater, Cape Cod Baseball League games and extensive choices for dining out all make this an ideal vacation spot. Owner will accept personal checks to avoid cc fees and transaction charges. Great location on the water. 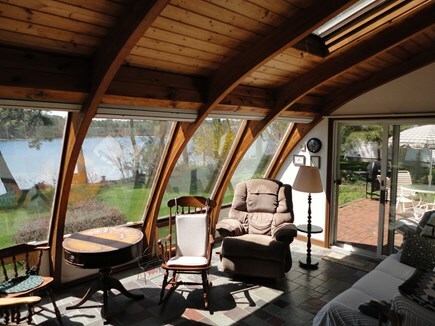 Lovely, cozy house with kayaks, canoe, etc. available for use. 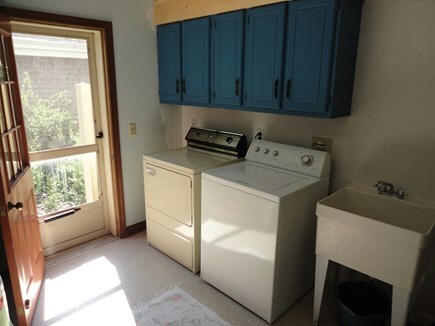 Remodeled updated kitchen with all the facilities, but could use a new coffee maker. Very accommodating property owner. I have stayed on the neighboring Bucks Pond in 4 different locations. 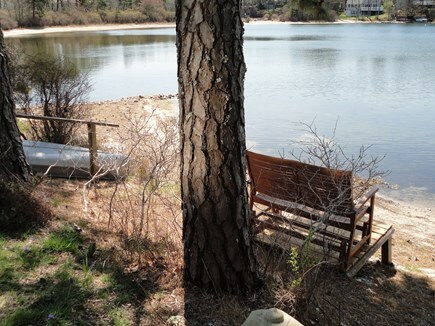 Josephs Pond was a bit quieter but still very close for those who want to kayak both ponds or enjoy the public beaches and walk the community. Our stay here was one of the nicest locations on the water with easy access for the grandparents to watch the children play, and a home that is very well cared for. I would love to stay again in the future and highly recommend the property. This is a great house for families. (even large ones) House is offering a large kitchen, a living room, a sun room and a very nice garden, with three couples and 2 babies each one of us occasionally needed a quiet spot during the day and we never had a hard time finding one. Neighbourhood is very quite and close to most areas. You may find everything nearby. House is very well kept and anything you need is just there. 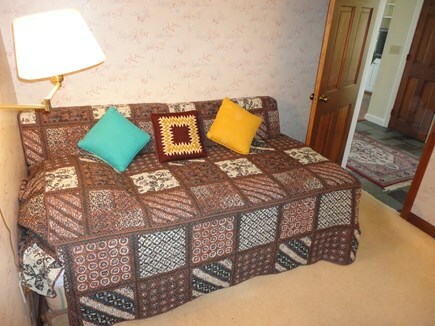 The den may very well be used a spare BR for a single person and the 3rd BA is a plus. I would definetly recommend this property to anyone . It can be a romantic getaway spot, it can also be a family fun place, it is all up to you. My parents built their dream ''lake house'' on Joseph's Pond back in 1985. We visited with our children as often as we could, always carving out a few weeks each summer to spend on ''Papa's Pond.'' My wife and I now own the house and we reserve a few weeks every summer to enjoy it with our children and grandchildren. 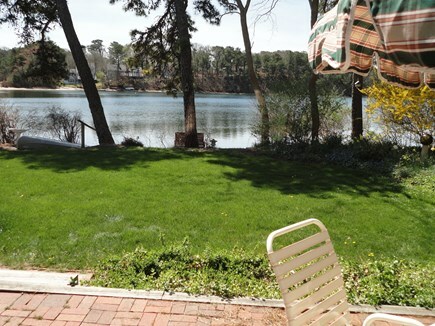 Unquestionably, the best thing about our house on Vacation Lane is the beautiful clear pond with our own private beach. Regardless of one's age, there is something very attractive about that beautiful pond. Each year we say we want to spend some time on the ocean beaches, but we just can't seem to pull ourselves away from the pond! Swimming is exceptional, the kayaks, canoe and sunfish are well utilized and the bass fishing is great! Harwich offers a convenient jumping off point to visit all parts of the cape. As a midway point nestled in the ''elbow,'' it's convenient to jump on a high speed Ferry to Nantucket right out of Harwichport, or plan a day trip up to Provincetown. Another attraction to Harwich is our easy access to the Cape Cod bike path, which is a great way to combine a daily workout with sightseeing.